Posted on Monday, June 30th, 2014 at 5:10 am. Professional Development Training donated 50 boxes of Mashed Potatoes and Pam Porter, National Business Development Manager USA matched the corporate donation with an additional 50 boxes of mashed potatoes. Pam delivered 100 boxes to the pantry last Friday. 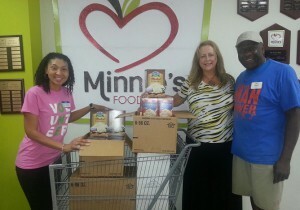 The Organization, Minnie’s Food Pantry depends solely on corporate and individual donations in the DFW area. 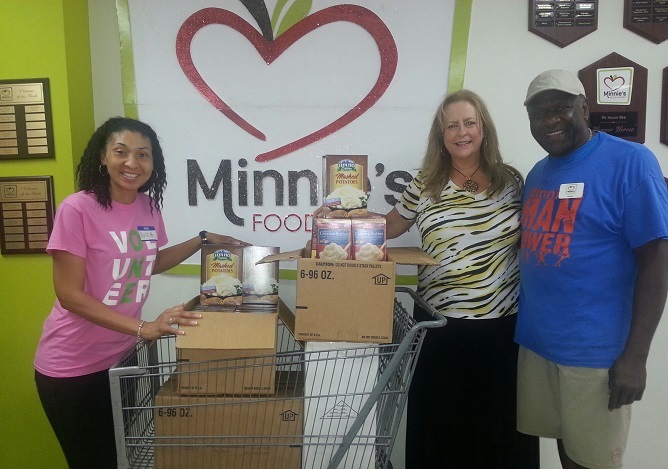 The Executive Director met with Pam this week and shared the pantry was in need of boxed potatoes for the hundreds of families they will be offering assistance to this month. The photo shows the delivery and the volunteering helping assist hungry families.